When I decided to take early retirement, I was completely prepared to live more frugally. No more spending money like a drunken sailor and ordering useless items from infomercials! First, I performed what financial planner Dave Ramsey calls a “plastectomy,” keeping one credit card in case I ever need to get a hotel room. Apparently, you must have at least one credit card to prove that you exist. Second, I ask myself whether I really need an item that is calling my name from the store shelf. Americans seem to have a hard time distinguishing needs from wants. 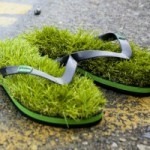 Do I really need those grass-lined flip-flops I was tempted to order from a catalog notorious for peddling useless junk. Ditto for the “Slap and Chop” which has been used twice since I ordered it three years ago. Chips, cookies and ice cream are NOT needs. We go to the store to pick up a bag of lettuce and leave with a bag of chips which we rip open in the car and polish off before we get home to start preparations for dinner. I’m a sucker for a sale, and my freezer contains a dozen packages of frozen spinach while my pantry is stuffed with canned vegetables and soups. Yet, week after week I go shopping and add to my collection. Why do I do that? You would think of was one of those survivalists preparing for some planetary disaster. I’m challenging myself to spend not a dime for the next week. That means no trips to Wal-Mart where I run in for a can of hair spray and come out with $42 worth of things like tea towels, dog toys and storage baskets for all the junk I’m drowning in. Isn’t it still possible to enjoy life without bleeding money? I’m working on mastering the art of living like a broke college student. There are so many good things in life that are free – like strolling over to the university to visit a new exhibit, combing through the stacks of the local library, having a cup of coffee with a friend, or watching a bird build a nest outside my door. Day One of my no spending campaign. Uh oh.. I have to take a dish to the Arts Council Barbeque tonight. It will have to be something with spinach. 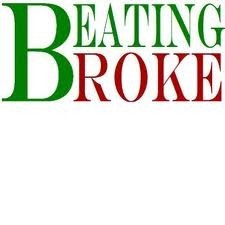 This entry was posted in Coping with retirement and tagged Beating broke, How to get out of broke, How to save money, Living like a broke college student by Emily Jones. Bookmark the permalink.